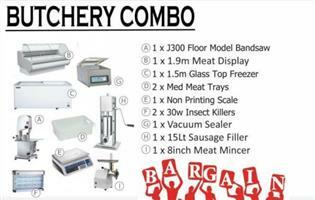 LM FOOD UNIT FOR SALE. THIS IS A NEW UNIT. 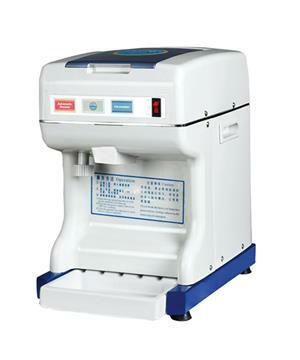 2005 X 1820 X 2010MM PROFESSIONAL EQUIPMENT. 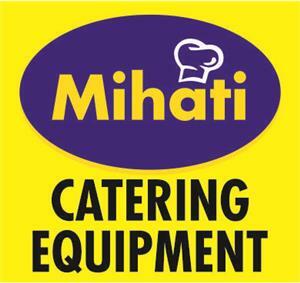 NEW CATERING UNIT. 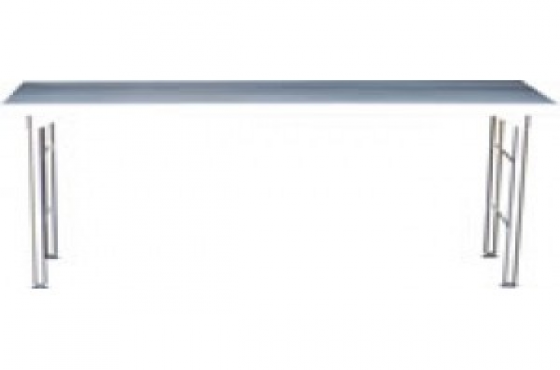 SINGLE AXLE UNIT. CUSTOM BUILD TO YOUR NEEDS. BASIN AND WATER. EMAIL US FOR A FREE QUOTATION. 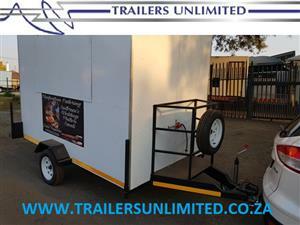 TRAILERS UNLIMITED THE LEADING TRAILER MANUFACTURER IN AFRICA. TRAILERS UNLIMITED. 2800 X 1800 X 2000 ECONOMIC CATERING TRAILERS. R32 000. EXCL. 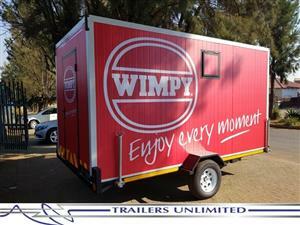 TRAILERS UNLIMITED - WIMPY MOBILE KITCHEN. 4000 X 2000 X 2000MM SINGLE AXLE UNIT. 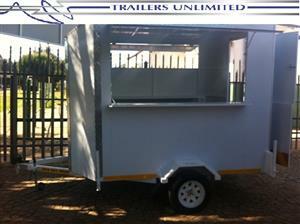 TRAILERS UNLIMITED VENDING TRAILER 2400 X 1800 X 2000. 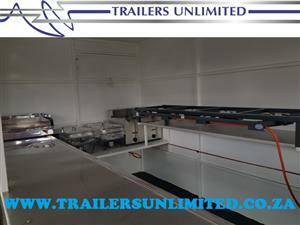 TRAILERS UNLIMITED 2400 X 1800 X 2000MM UNIT. TRAILERS UNLIMITED. 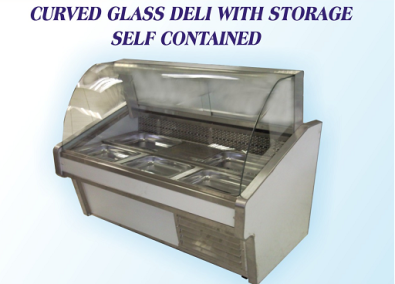 SINGLE AXLE 750KG MOBILE KITCHEN. NOSE CONE. SERVING WINDOW X 1. VENTILATION WINDOW X 1. BASIN AND WATER. PAINTED WHITE INSIDE. GAS INSTALLATION. GAS GRILLER. GAS BOILER. 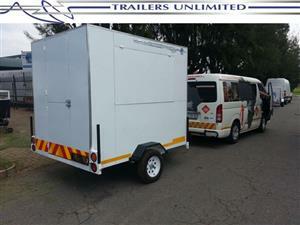 TRAILERS UNLIMITED CHEFCATION CATERING UNIT. 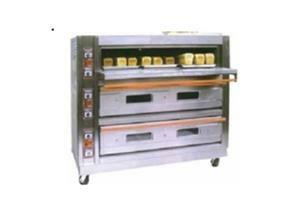 2800 X 1800 X 2000mm MOBILE KITCHEN. MOBILE BAR TRAILERS. @ BAR.